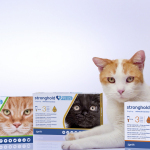 New product for #cats approved in the European Union to treat fleas, ticks and mites & prevent heartworm. 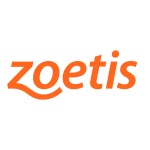 PARSIPPANY, N.J.--(BUSINESS WIRE)--Zoetis Inc. (NYSE:ZTS) today announced that the European Commission has granted the company a license for Stronghold® Plus (selamectin/sarolaner), a topical combination of parasiticides that treats ticks, fleas, ear mites, lice and gastrointestinal nematodes and prevents heartworm disease in cats. Veterinarians across the European Union now have a treatment choice that leverages the benefits of sarolaner, a new innovation in the class of isoxazolines, without sacrificing the broad spectrum protection, safety or ease of use they expect. The market for companion animal parasitic medicines was valued at more than $4.2 billion in 2015, with a compound annual growth rate of about 5% over the previous five years, according to Vetnosis1. 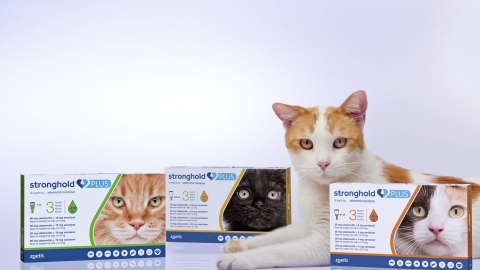 The active substances in Stronghold Plus are selamectin and sarolaner, a new combination of parasiticides. Selamectin has adulticidal, ovicidal and larvicidal activity against fleas (Ctenocephalides spp). Selamectin is also active against ear mites, lice, gastrointestinal nematodes and prevents heartworm disease through its efficacy against Dirofilaria immitis larvae. Sarolaner is a new acaricide and insecticide belonging to the isoxazoline class: it is efficacious against ticks, fleas and mites. The most common side effects of Stronghold Plus are mild and transient pruritus at the application site. Mild to moderate alopecia at the application site, erythema and drooling have been uncommonly observed. For more information about Stronghold Plus, click here. Zoetis is the leading animal health company, dedicated to supporting its customers and their businesses. Building on more than 60 years of experience in animal health, Zoetis discovers, develops, manufactures and markets veterinary vaccines and medicines, complemented by diagnostic products and genetic tests and supported by a range of services. Zoetis serves veterinarians, livestock producers and people who raise and care for farm and companion animals with sales of its products in more than 100 countries. In 2015, the company generated annual revenue of $4.8 billion with approximately 9,000 employees. For more information, visit www.zoetis.com . Forward-Looking Statements: This press release contains forward-looking statements, which reflect the current views of Zoetis with respect to business plans or prospects, expectations regarding products and other future events. These statements are not guarantees of future performance or actions. Forward-looking statements are subject to risks and uncertainties. If one or more of these risks or uncertainties materialize, or if management's underlying assumptions prove to be incorrect, actual results may differ materially from those contemplated by a forward-looking statement. Forward-looking statements speak only as of the date on which they are made. Zoetis expressly disclaims any obligation to update or revise any forward-looking statement, whether as a result of new information, future events or otherwise. A further list and description of risks, uncertainties and other matters can be found in our Annual Report on Form 10-K for the fiscal year ended December 31, 2015, including in the sections thereof captioned “Forward-Looking Statements and Factors That May Affect Future Results” and “Item 1A. Risk Factors,” in our Quarterly Reports on Form 10-Q and in our Current Reports on Form 8-K. These filings and subsequent filings are available online at www.sec.gov , www.zoetis.com , or on request from Zoetis.